Due to its transparency report we can see exactly how many DMCA notices Google receives each month and the latest numbers are nothing short of staggering. In the last week of September alone the search engine processed requests to take down a record-breaking 5.3 million 'pirate' links. That means Google is now removing nine allegedly-infringing URLs from its indexes every single second of every single day. While it’s impossible to report with any accuracy how many DMCA-style notices are sent by all rightsholders Internet-wide in a typical week, thanks to Google’s relative openness we do have a reasonable idea of the size of the problem. After a fairly steady climb in the early part the year, between July and October 2012 copyright holders stepped on the gas, sending around 1.8 million URL notices in a single week, more than ten times the amount being sent in a typical seven day period at the start of the year. Mid November 2012 saw the sharpest increase to date, with 2.8 million URL notices sent in a week, a record beaten in mid December when 3.5 million were delivered to Google. Then following a deceptive lull at the start of 2013, things picked up again in February. In a single week 3.8 million takedowns landed on Google’s desk, a record beaten again at the end of March when 4.47 million were received. Since then it’s been rare for more than 4.6 million URLs to be processed by the world’s largest search engine in a single week but the latest figures published by Google reveal that during the final days of last month yet another record was smashed. Between September 23 and September 29 Google received DMCA notices from 5,407 copyright owners and reporting organizations requesting the removal of 5,310,080 URLs spanning a total of 37,413 domains. That’s up 561,950 URLs on the previous record set two weeks earlier and a 4008% increase over the first batch of notices listed by Google in July 2011, meaning that Google is now taking down just under nine URLs every single second of every single day. As usual the major labels of the recording industry are leading the way. During the week in question the BPI asked for the removal of 1,294,641 URLs (2 per second) and the RIAA 751,739 (1.2 per second). From the figures for the whole of September we can see that file-hosting site ZippyShare was the number one target with more than 830 copyright holders asking for the removal of 922,946 URLs. Two music linking sites, Dilandau and BeeMP3, took second and third places with 918,008 and 698,985 URLs respectively. File-hosting search engine FilesTube (585,338 URLs) and file-hoster Rapidgator (569,580 URLs) made up the top five. 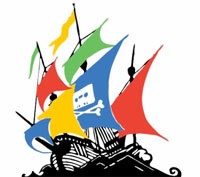 But despite Google’s herculean response to the demands of nearly 5,500 entertainment and anti-piracy outfits, according to some the search engine still isn’t doing enough. Both Hollywood and the recording labels say that Google needs to step up its game but it’s difficult to see how much more it can do, unless it doesn’t even index ‘pirate’ URLs in the first place…. …and, of course, there you have it……the Holy Grail – for now at least.